Thursday May the 9th 2019 the opening of the Estate of Versailles will be disrupted. From December 9, 2018, the RER C is not operating between the stations of "Invalides" and "Musée d'Orsay" on weekends and public holidays. For more information about alternative routes, click here. The Versailles passport enables you to discover the Versailles estate, one of the most famous places in Europe. Follow in the steps of the kings of France on a visit to the Château de Versailles and its lavish royal apartments, the Châteaux de Trianon, Marie-Antoinette's hamlet and the magnificent French gardens that surround these monuments. An audioguide in 10 languages for visiting the chateau is included in the ticket price. 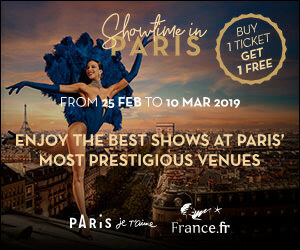 The Passport includes admission to the whole Palace, the Palaces of Trianon and the Estate of Marie-Antoinette and the Gardens (except during the Musical Fountains show and Musical Gardens). Palaces of Versailles and Trianon: free admission for European Union nationals under 26 and for all children under 18. To buy your transport tickets, click here. The Versailles passport does not allow access to the gardens on the weekend of Fountains. Please note that during the Musical Fountains Show and musical Gardens, gardens, shows and the grove are not accessible to the holders of Passport Versailles (€20) and the Paris Museum Pass. The access to the Versailles Estate (excepted during the Fountains show and Musical Gardens) is included in Paris Museum Pass and in Paris Passlib' ! The Passport Versailles is valid the day of your choice before 01/18/2020. In the case of delays or seasonal works causing problems on RER line C tickets will not be refunded or extended. Please check traffic status before you travel by clicking here. From Paris from St-Michel Notre Dame stations; Orsay Museum; Champs de Mars Tour Eiffel.